The new Project Lifesaver Halton program is another example of how we’re working with partners, including the Halton Regional Police Service, to keep our community a safe place to live. Project Lifesaver Halton helps protect family members who may wander due to Alzheimer’s disease, autism, down syndrome, acquired brain injury or other kinds of cognitive impairment, by providing police with a quick and easy way to find people who are wearing the program tracker if needed. People participating in the program, coordinated by the Halton Regional Police Service, wear a small bracelet with a transmitter that sends out a radio tracking signal 24-hours a day, seven days a week. If caregivers notify police that the individual is missing, a specially trained emergency response team will use mobile tracking equipment to find them. As part of our commitment to connect people with the services they need, the Region is supporting Project Lifesaver Halton by offering financial assistance to those eligible for the program. If program participants are in need of financial support to cover program costs, the Halton Regional Police Service will connect them with Halton Region. Project Lifesaver Halton is just one example of how Halton works to enhance the health and well-being of all residents, no matter what their income, age or stage of life. 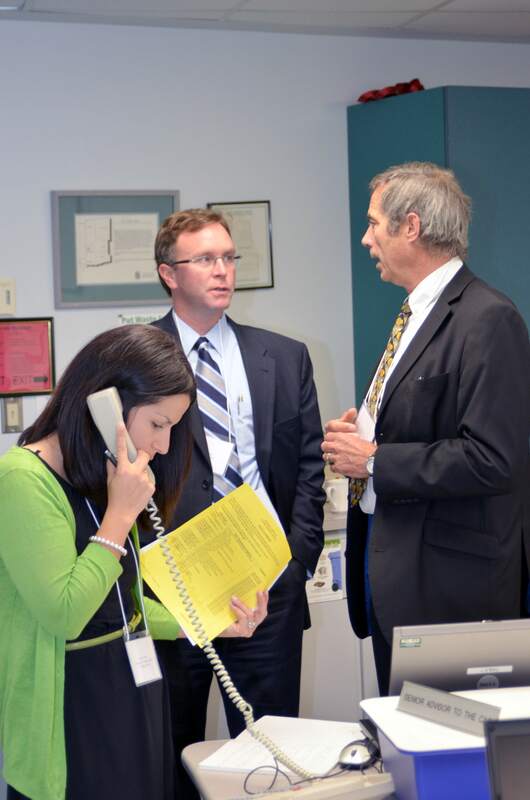 The Region has several programs and services that provide residents with access to the important supports they need. Residents can find more information online about how Halton provides support in areas such as housing, Ontario Works, transit, employment and childcare. For more information on Project Lifesaver Halton, residents can visit haltonpolice.ca/projectlifesaver, halton.ca/lifesaver or contact the Halton Regional Police Service by dialing 905-825-4810 or projectlifesaver@haltonpolice.ca. Through various Regional programs and by working together with our community partners, we can keep Halton a great place to live, work, raise a family and retire for everyone. Impaired driving remains Canada’s number one criminal cause of death with four Canadians killed and 200 injured in alcohol-related crashes every day. To be part of the solution to stop impaired driving, Halton Region, in partnership with the Halton Regional Police Service, has launched new detailed webpages at www.halton.ca/impaired to provide drivers with ways to help plan for a safe ride home, how to report a suspected impaired driver, ways to talk to teens about impaired driving and more. If you go to the movies in Halton Region over the next few weeks, you’ll see a 30-second public service video highlighting the emotional cost of impaired driving to those left behind. It’s a timely reminder, especially around this time of year, that every choice matters. The video, along with more details about Matthew’s story, is also posted online. Death and injuries on our roads due to impaired driving are devastating to our community. The impact from any one incident ripples throughout our families, neighbours and communities. Because of this, road safety is a top priority for Halton Regional Council. We want Halton drivers to feel safe on our roads. By partnering with the Halton Regional Police Service, we’re working together to make sure this holiday season is a safe one for everyone. But we can’t do it alone – we need your eyes on the road to help keep impaired drivers off of them. Through the Halton Drive SAFE program and its Safe Roads… Your Call campaign, you’ll see signs throughout the Region reminding you to call 911 if you see a suspected impaired driver on the roads. One call could save someone’s life. In addition, if you witness dangerous drivers, you can report them through the Road Watch Program. This is a community driven program encouraging anonymous reporting of incidents involving dangerous and/or aggressive driving. Reports can be made by completing an online form at www.haltonpolice.ca. This holiday season, help us keep us keep our roads safe while ensuring that Halton remains a great place to live, work, raise a family and retire. 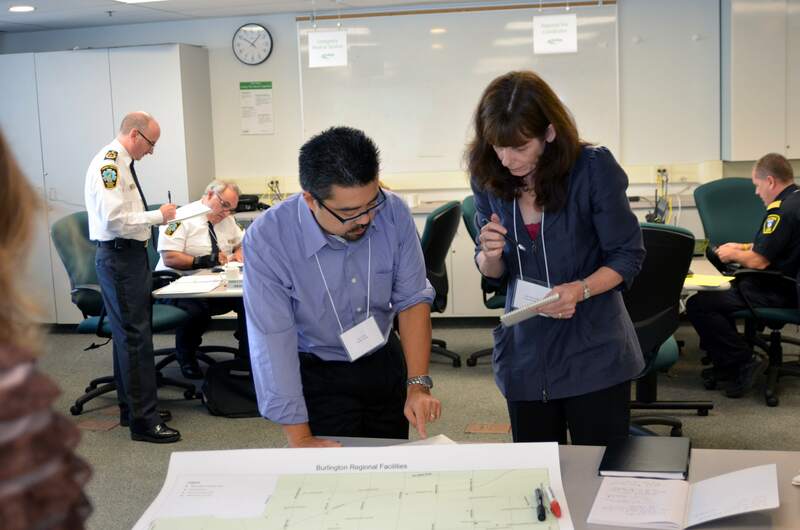 Halton Region works together year round with our emergency preparedness partners – the City of Burlington, the Town of Halton Hills, the Town of Milton, the Town of Oakville and the Halton Regional Police Service – to plan for and ensure a coordinated response to emergencies. On October 4, I joined Halton Region and City of Burlington staff as well as Emergency Services participants in exercise “Lights Out,” conducted as part of Halton Region’s Emergency Management Program. As the name suggests, participants in the exercise responded to a large, area-wide power blackout that lasted several days and resulted from an “ice storm” that occurred around Family Day 2013. 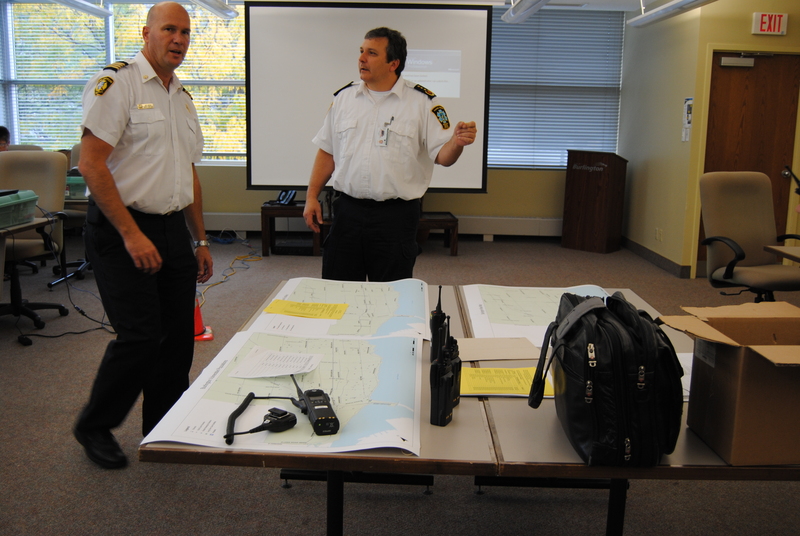 “Lights Out” focused on the response and recovery aspects of the power blackout in which Burlington and the Region activated their Emergency Operations Centres. In the Emergency Operations Centres we were briefed on the situation and asked to respond to the scenario as we would during a real event, using our Emergency Response Plan and resources that would normally be required in a real situation, including radio communication. A debriefing session took place immediately following the exercise where our performance was evaluated. Exercise “Lights Out” provided a terrific opportunity for us to test and practice during a realistic scenario that everyone should be prepared for. Through this practice we learned valuable lessons that will allow us to be even better prepared in the case of a real emergency. For more information on Halton’s Emergency Management Program and to download or order Halton’s Personal Emergency Preparedness Guide, visit www.halton.ca/beprepared or dial 311 or 905-825-6000, toll free 1-866-442-5866 or TTY 905-827-9833. Follow @BPreparedHalton on Twitter for incident updates and preparedness tips. During the Police Service Board meeting on Thursday, February 24, the Ontario Municipal Benchmarking Initiative (OMBI) , which is a collaboration between 15 progressive Ontario municipalities, presented policing data contained in the recently released 2009 Performance Benchmarking Report . I am pleased to report that the hard work of the Halton Regional Police Service was evident in these findings. In fact, from 2007 to 2009, Halton Region had the least amount of severe crimes including fewer violent crimes and severely violent offences than 14 other regions across Ontario. All of these accomplishments were achieved with great efficiency as Halton was also reported to have the lowest police to population ratio. The data released in this report are a testament to the strong police service in Halton – one that has been recognized around the world for excellence in crime prevention and public safety initiatives. In fact, Halton Region has been named the safest Regional Municipality in all of Canada for the third year in a row by Maclean’s magazine. As a member of the Police Service Board, I am proud of the hard work and dedication of our Police Chief, Deputy Chiefs, officers, civilians, volunteers, elected officials, and community partners alike who have all contributed to our designation as The Safest Region in Canada, and to these recent findings. Congratulations to the police service and to the Halton community as a whole.